Designed specifically for the river trout angler. 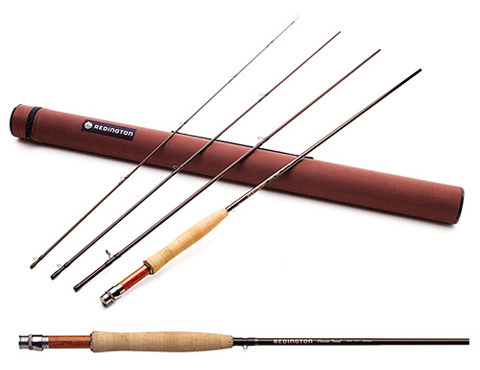 The moderate action of these rods provides the delicacy needed for technical spring creek scenarios, yet packs enough power for big river and boat fishing. The light-weight blank and forgiving action reduces fatigue for long days on the water.  Freshwater, smooth moderate action rod.  Dark clay brown blank with matching rosewood reel seat insert.  Custom machined reel seat components.  Titanium oxide stripping guides.  Available in 4-piece and 6-piece configurations.  6-piece offers extreme packability for backpacking and/or the travelling angler.  Alignment dots for easy rod setup.  Durable Cordura rod tube with built in rod dividers.